"It's Christmas! 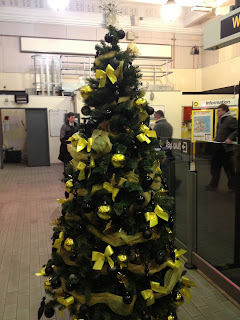 Let's put some trees on the stations." "What a lovely idea. I'll get right on it." The doors swing open, and the Colour Tsars burst in, wielding yellow spray guns. "We've heard you want to put something into a Merseyrail station. What colour will this tree be?" they demand. "It's a tree, so it'll be green." The Colour Tsars mull this over. "I suppose we'll let that one past. What about the decorations?" "Bright colours of course! Red, blue, silver, gold." They shake their head. "Sorry, we can't allow that. Christmassy colours? Are you mad? 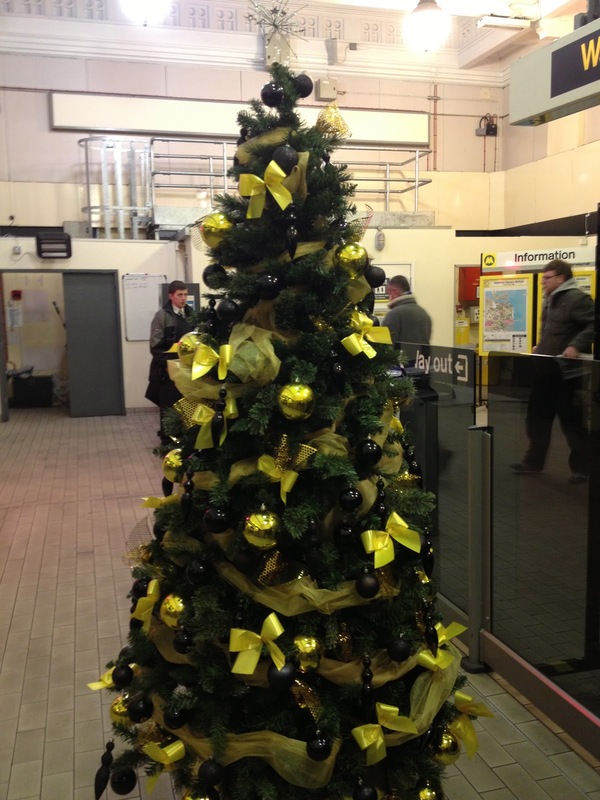 This is Merseyrail. We have standards to maintain. Yellow and grey and black standards. Nothing - not even celebrating the birth of Jesus - can interrupt this." Lol this tickled me. Would have been rather hilarious if they had put a Merseyrail M on top. Maybe that's next, who knows?